← Can you buy an iPhone for $199? Apple isn’t the only company with a new phone. 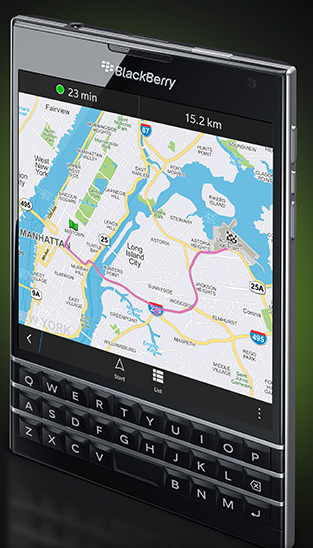 BlackBerry released its new Passport phone this month as well. Competing directly with Apple and Samsung, the new phone has a square screen and a physical keyboard that doubles as a touch-sensitive swipe pad. But while Apple and Samsung phones are geared towards the personal market and video content, the new Passport phone is focused on work productivity. BlackBerry’s target users appear to be the “power professionals” – people who are well-educated, well-paid, and employed in industries such as health care and finance which require more secure communications. The new phone is also being offered at a price lower than iPhone 6; Passport retails for $599 without a mobile plan compared to $649 for iPhone 6. The question is whether BlackBerry can gain market share against its entrenched rivals. For BlackBerry’s Passport phone, what is the target market? How does this compare to the target market of Apple and Samsung? Divide students into teams and have each team develop a profile of a target market for Passport. Include demographics, psychographics, behaviors, values, attitudes, etc. What are the key differences in marketing to companies vs. individual consumers?